Don't miss these top 5 attractions when you next travel to Brussels. Brussels, capital of Flanders, Belgium, and Europe, is a sightseers dream. There is a multitude of museums, famous attractions, and monuments to visit here, and whether you’re staying for a week or a day, a first time visitor or a seasoned returnee, you’ll never be stuck for something to do in this most beautiful of cities. Here are my 5 top attractions in Brussels which are a must whether or not you have limited time in the city. The Grand Place is without a doubt the most popular tourist attraction in all of Brussels. It may be small, but the architecture surrounding this 15th century town square is stunning, and today it is regarded as the perfect place to understand more about Brussels – and Belgium – itself. The buildings that make up the square are full of historical significance as well, so it is worth checking them out when you are enjoying a stroll through or a coffee in Grand Place. It’s remarkable how a 60cm statue of a little boy having a wee can attract so many thousands of visitors each year. This bronze statue that stands on top of a fountain is known locally as Manneken Pis, and is a favourite of Belgians and travellers alike. Designed in around 1618 by Hiëronymus Duquesnoy the Elder, Manneken Pis even has his own website, along with over 700 different costumes in which is he dressed throughout the year to mark various different events. Called La Monnaie (the Mint), the opera house in Brussels has been built, rebuilt, and refurbished many times, yet it still maintains its historical charm and character. The current building is the third that has been erected on the same site, and was once world renowned for hosting the most daring and incredible performances. Today it is still just as exciting, and if you can get tickets to a performance there whilst visiting Brussels you will be in for a treat. This theme park consists of miniatures of Europe’s most famous monuments and tourist attractions, and is a fun day out for the whole family. Here you can see small versions of the Eiffel Tower, the Leaning Tower of Pisa, Big Ben, the Berlin Wall, Mount Vesuvius, and the Grand Place too! There are in fact over 300 models to enjoy. This whistle-stop tour of Europe is fun and enlightening, and will make any travel hungry visitors keen to explore! 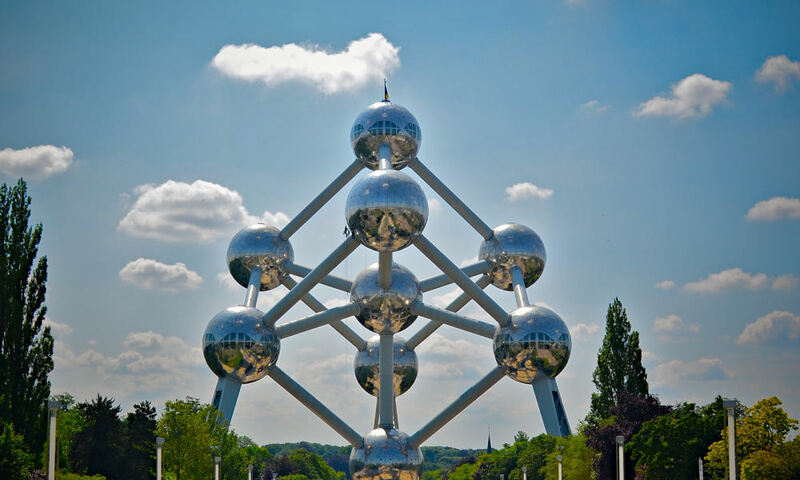 The Atomium was erected in 1958 as a temporary structure for the World Expo at the time, and is a replica of an atom enlarged by 165 million times! Just like the Eiffel Tower in Paris, this was meant to be dismantled after the fair had finished, but the town of Brussels fell in love with this strange and fascinating structure, and it stayed. Today you can explore inside and discover exhibitions to do with art and science, and a fantastic restaurant. And when the sun hits the Atomium in just the right way at just the right time, it is a beautiful sight. Find out how to travel by sea to Belgium.